Director of Higher Education in the Ministry of Education, Science and Technology Samson Macjessie Mbewe says the recently launched Parents Association for University of Malawi (Paus) will help reduce conflicts between lecturers and students in Universities. 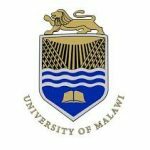 Paus originated from parent groupings of The Polytechnic and Chancellor College, both constituent colleges of the University of Malawi, who played a role in the reopening of these colleges during the tuition fees hike and salary disparities saga, respectively. According to Macjessie, “There is a tendancy by some students to apply for loans to the Higher Education Loans Board even when they were getting assistance from their parents. Through this body, this malpractice can be easily checked”. During the launch, a well-wisher donated K17 million to assist students in various colleges. Paus chairperson Paul Chikwekwe commended government for allocating K16 billion to the education sector and K8 billion to the loans board.